Velvet Sofa – Are They Durable, Practical and Easy to Clean? 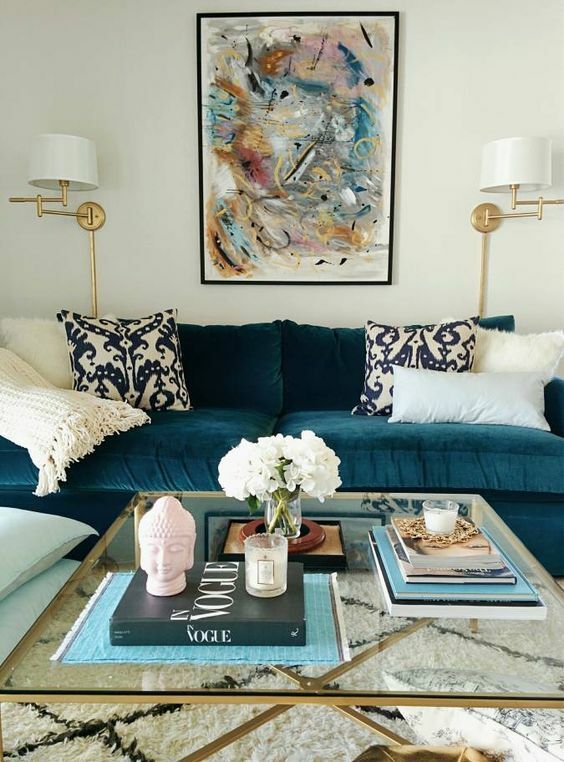 The velvet sofa became a big hit a couple of years back, with jewel-toned blues and greens being the most popular. Now rich rusts and terra-cotta shades are also trending, but do you think they will stick around? No-one wants to spend hundreds, if not thousands, on a piece for it to feel dated months later. 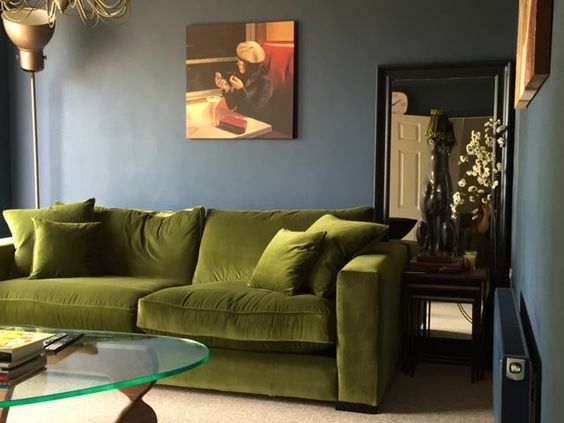 I thought I might look into the pro's and con's of velvet and even how to get the look without getting a new sofa. 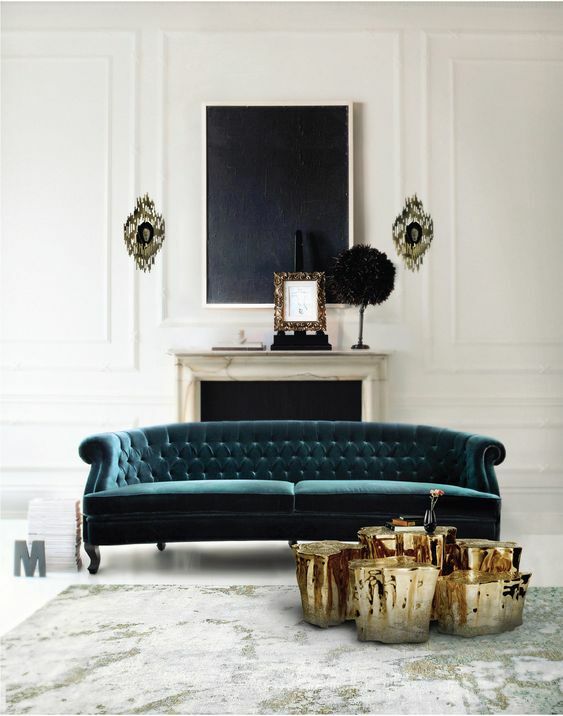 A velvet sofa can look a touch intimidating, extravagant or troublesome to deal with, when in fact it is the opposite. Velvet itself is quite durable, even though its luxurious and high-style look would make you think otherwise. Because it has no raised weaves or loose threads and has a flat pile similar to a rug weave, which makes it impossible to snag, and very helpful if you have pets as pet hair falls off. 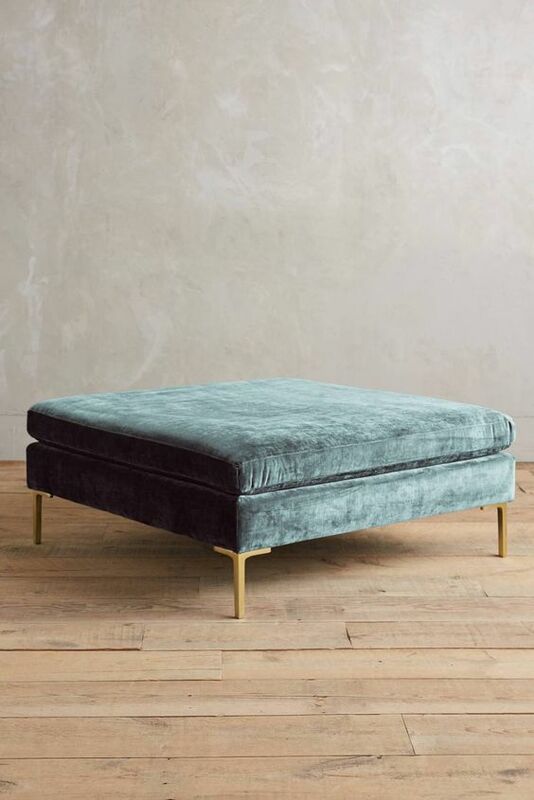 Velvet has a lustrous sheen that is a perfect contrast against other modern or neutral pieces and creating small and large features in a room. The sheen contrasts beautifully against dark walls and reflects light instead of absorbing it. 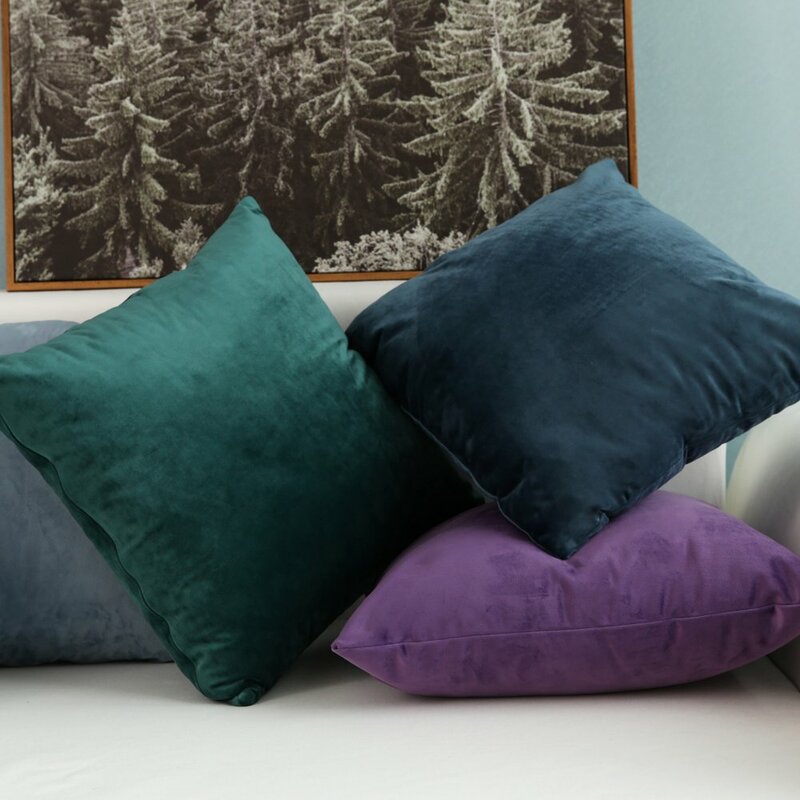 Velvet looks and feels luxurious and can be used on upholstered beds, arm chairs, sofas, curtains or throw pillows allowing you to add as little or as much as you want to liven up your look. With a luminous sheen it creates a great highlight for any room even in modern or relaxed spaces and perfect in Boho-chic styled rooms. One of the reasons for the trend towards velvet is that it was once only for the very rich and elegant, even royal families. It looked expensive and was expensive to manufacture. The democratization of velvet is here. 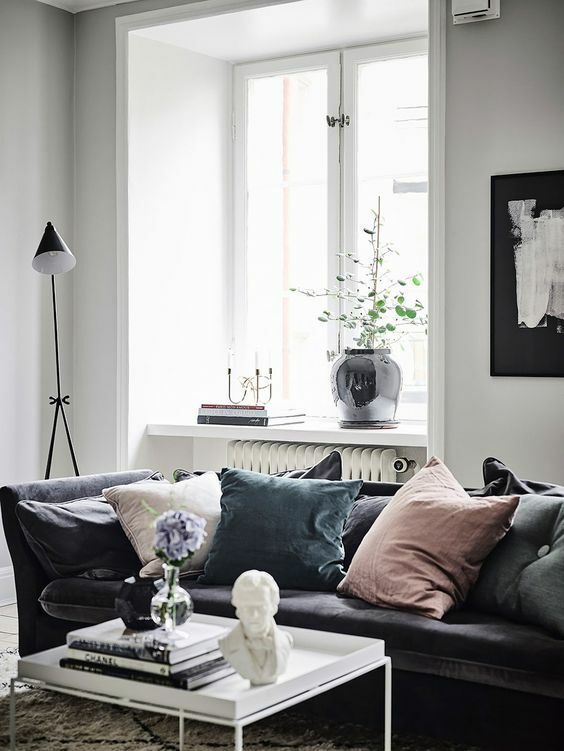 While the style of velvet is rich and luxurious there are ways to have the look without the sofa. One way is to use velvet cushions. 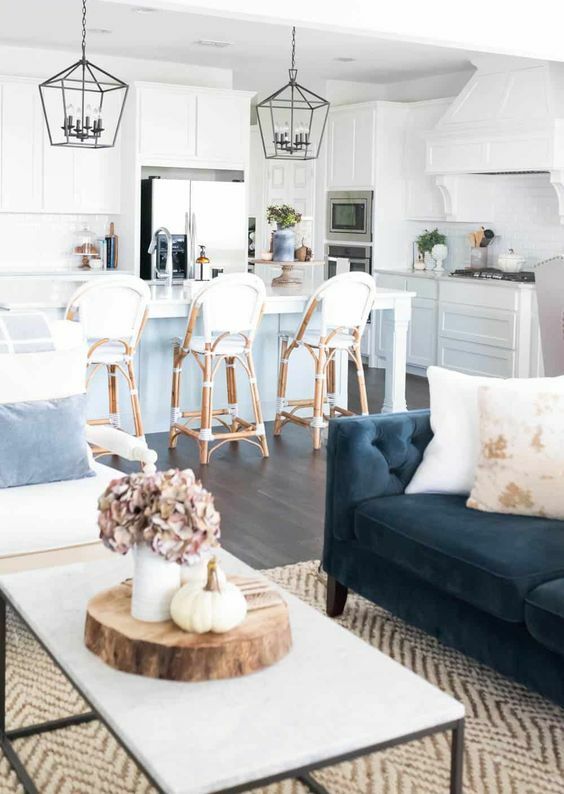 Another way is to add a chair or ottoman. You can buy or upholster an ottoman with these DIY instructions. You can use a coffee table as the base, a box or even an old ottoman. This adds a luxurious and functional look to your room and can be swapped out if the look doesn't work for you. Its also possible to make your own slip covers or upholster a couch if you have the necessary skills. What about a velvet roman shade or curtains? The thick fabric gives you privacy and warmth with a modern minimalist feel of shades and not curtains. But in the right room velvet curtains look very grand. Velvet has more steps and more yarn to produce it than other fabrics and can be made from any type of yarn. After being woven together the fabric is split down the center. The two threads have a upraised pile which gives it its soft luxurious texture. If you see a velvet fabric with silk, know that it is more fragile. It stains quickly, whereas synthetics such as polyester can easily be cleaned at home. Wool, cotton, linen, and synthetic fibers are often used, making the fabric more durable and less expensive. 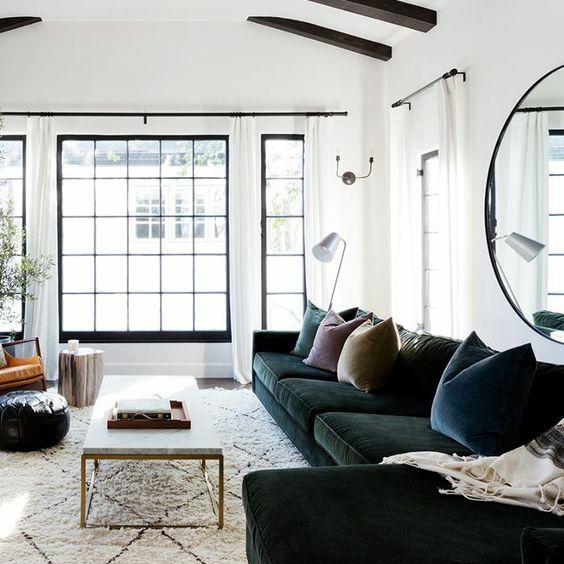 In fact, even in a living room with a lot of traffic a velvet sofa sectional is highly functional and should hold up to years of wear. What do you do if your velvet is crushed or 'bruised'? When velvet pile ruffles after sitting it, or gets 'bruised', its not permanent. With time the fabric will return back to its natural state. You can always steam the fabric and smooth it out. However, heavier marks can become permanent, adding character to your piece just like leather. Consider this wear and tear as adding character to your piece, and not harming it in any way. The easiest way to look after velvet is to vacuum it, using the hand-held nozzle for dirt trapped inside the pile. Velvet is often coated with stain repellents to contain spills. If this is the case, gently dab the wet stain with a soft damp towel until it is completely removed. It the stain has dried, you may need to contact the manufacturer, find out what the yarn is made up of before cleaning. If you have slip covers, you can wash them but avoid hot water, which can shrink velvet and cause the fabric to lose elasticity. You can buy detergent for delicate velvet. Set your machine to 'gentle' or 'hand wash' cycles so you don't damage the fabric. Always check the cleaning code on your sofa’s tag to see what the manufacturer recommends. There are several fabrics, all called velvet including cotton, synthetics, silk and linen and each one will be cleaned differently. If you have the dry cleaning version, it may not react well to water. To keep velvet looking its best, velvet sofas require a few weekly tune-ups to keep the nap raised and the color looking rich and luxurious. Brush it gently at least once a week. You can also vacuum it with a special upholstery attachment or place a pair of stockings around the vacuum nozzle to avoid crushing the nap of the fiber. This helps to maintain its distinctive textured pile. Putting the vacuum directly on the fabric could make the fabric dull. 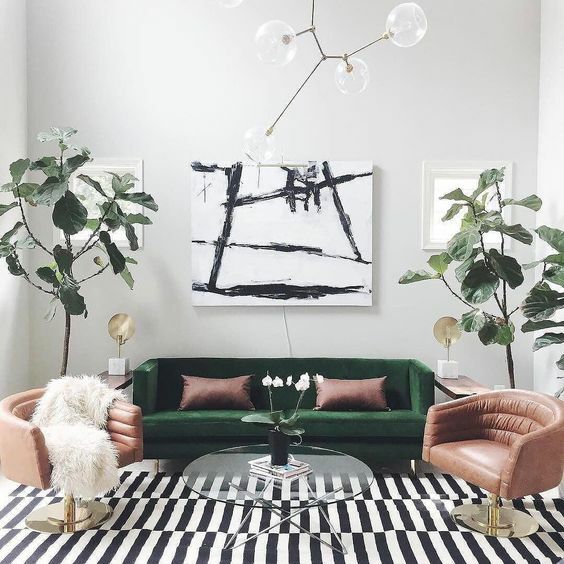 To give your velvet sofa that new sheen look again, use a steamer to fluff up the fibers. Next, brush the fabric always moving in the same direction as the steamer, to keep the nap uniform.